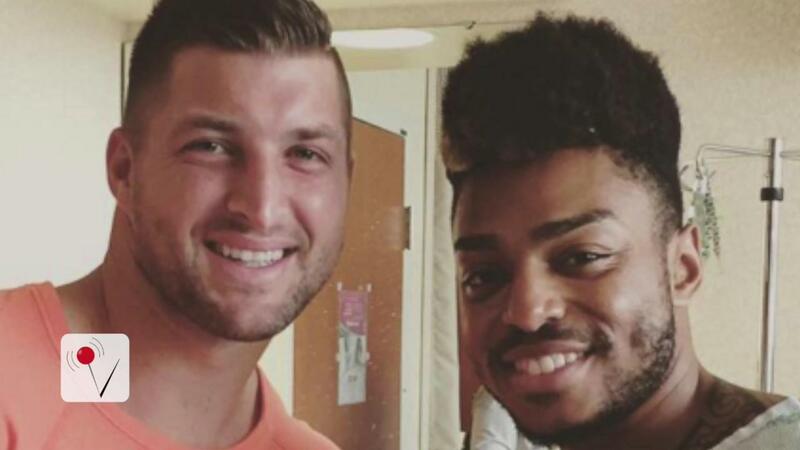 Former NFL quarterback and all-around great guy Tim Tebow visited his former high school football teammate who was wounded in the gay nightclub shooting in Orlando. The Orlando Sentinel reports Rodney Sumter was a bartender at Pulse nightclub and was shot three times on June 12. Tebow and Sumter played football at Ponte Vedra Beach Nease High School near Jacksonville. According to Sumter's Instagram post, "My high school quarterback left the Bahamas to come and see me. Tebow has always been an awesome person." Sumter was among 53 people wounded and 49 killed when Omar Mateen started shooting inside the club as it was closing.